This might be sacrilegious to say in a personal finance blog, but I’ve never really paid that much attention to my asset allocation. Yeah, yeah, quit your mumblings about what a terrible personal finance blogger I am. What it really comes down to is that I just kept saving and investing. It was as if I just kept shoveling dirt into a pile and never looked up. I built up a nice nest egg over the years by just saving and investing in a pretty haphazard way. This isn’t a horrible thing, but it’s far from the most efficient way of planning for our future. Believe it or not, I’ve just finally started working on getting everything structured the way it should be… better late than never, right? The reason I’m focusing on my asset allocation is that I’m planning to reach FIRE at the end of 2019. As I write this, the stock market has been a steady bull market for a very long time. Nobody knows if we’re at the top or if it’s going to continue on, but if we do hit a rocky road, I don’t want it to screw up my FIRE date. I’ve talked about my struggle to leave Quicken for managing my finances. For as particular as I am, it’s fantastic for my day-to-day needs. In fact, I’ve been using different versions of it since 1999. However, as you might have guessed by my intro, it’s not that great at helping me easily dig deep into my investments. Sure, the ability is there to do some of it, but it’s just not as in-your-face as I’d like. And then along came Personal Capital! I came across this free online app a few years ago and haven’t looked back! When it comes to managing your investments, there’s nothing better out there – especially for free! The fact that it easily saved me over $50,000 in fees in my 401(k) with about an hour’s worth of work made me a loyal user, to say the least! 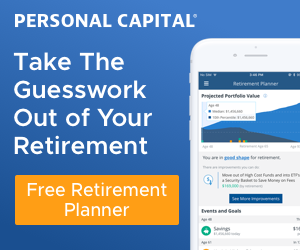 So, here’s my quick plug – if you’re not already using Personal Capital to manage some of all of your finances, you’re missing out. Not only is it free, but it’s more sophisticated and easy to use than most other tools out there. I do receive a small commission if you signup through my link. However, that’s at no cost to you and I wouldn’t recommend it if I didn’t use it and love it myself. You’ll notice that I’m heavy on stocks (84.26%) and pretty light on bonds (7.65%). If you haven’t rebalanced your portfolio recently, your portfolio might actually look a little bit similar in that aspect. For us though, our weird percentages also reflect a time shortly after Mrs. R2R left her job. We had rolled over her 401(k) into a traditional IRA. That meant everything was then converted to cash and we we’re not finished buying back into the market… slowly but surely! Regardless of our recent portfolio changes, I realized a big problem. We’re heavy on stocks right now… maybe too heavy. My thinking is that we need to start scaling back on the equities and work on bringing up our percentage of bonds. That’s important because of our withdrawal plans. I need to make sure that we have enough cash-on-hand to carry us at the beginning of our early retirement. The worst problem we could have is that we run into a bear market right around the time I quit my job. If we had to start selling stock while prices are low, that could be quite a hit on our portfolio’s principal. Sequence-of-return risk is a potential issue for any retiree but could be even more problematic for an early retiree. I’m anticipating that we’ll have a couple years of cash to help carry us in the event of a bad market when we first quit. And that’s fine for a start. But if it does happen, how long will that bad market last? One year? Two? Three? In our last bear market (2007-2009), it took about four and a half years for those losses to be erased. That’s a lot of years of missed growth, too. Should history repeat itself or should we run into something worse, that two-year cash buffer isn’t going to cut it. We’ll have some other contingencies in place (rental income, blog income, etc. ), but as a worst-case scenario, we might need more. And that’s where the stabilization of bonds will come into play. I enjoy reading a lot of the content Wade Pfau produces. He’s a brilliant guy with both a Ph.D. and the highly regarded Chartered Financial Analyst (CFA) credential. One of his articles that I liked reading was called The Pros And Cons Of Rising Equity Glide Paths In Retirement. In it, he talks about using a rising equity glide path for retirement. The idea is that you decrease your holdings in equities as you close in on retirement and then start to ramp up after you retire. I like this idea tremendously. 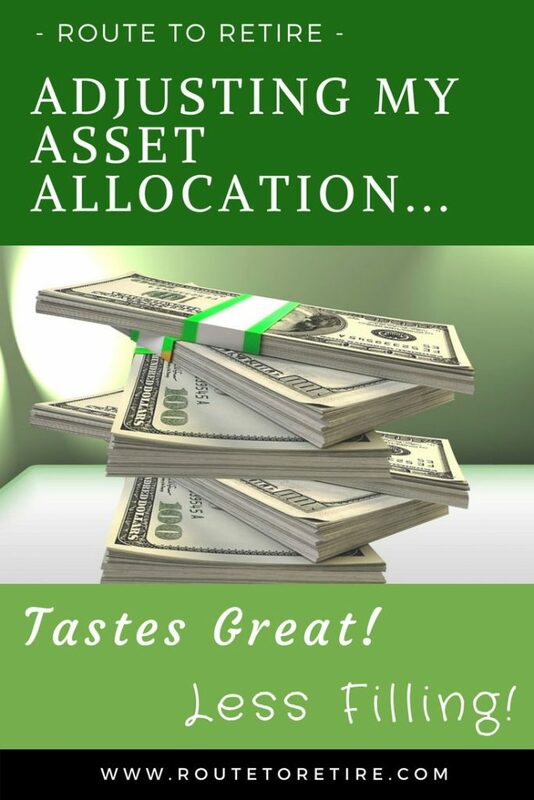 I’m comfortable with a higher asset allocation of equities in our portfolio. I’d like it to be about 75% stocks and 25% bonds/cash during our retirement. However, I’m a little nervous about a market crash now or when we first quit our jobs. That could really crush our early retirement dreams. So my plan is to do a U-shaped path with the equities in our portfolio. We’ve had our years of early growth, but now we’ll start scaling back for some protection during the early retirement years. Then we’ll start working our way back to a larger percentage of equities from there. Today (4/16/18), I just sold a large portion of VTSAX in Mrs. R2R’s IRA for what seems like a good price with the ups and downs we’ve had recently. This was probably about 10% of our portfolio and it scared the crap out of me to pull the trigger. Am I making the right move? Are stocks going to keep climbing? I’m going to sell a little more stock and then very soon I’ll start buying more bonds. I’m not the bond expert (Bond… James Bond), so I sucked in my buddy, Fritz at The Retirement Manifesto for some advice. After our conversation I decided to focus on short-term bond funds like VBIRX and Treasury Inflation Protected Securities (TIPS) (VIPSX). Ouch. 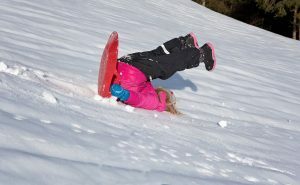 Hopefully, a raging market climb for another decade doesn’t hurt this bad. 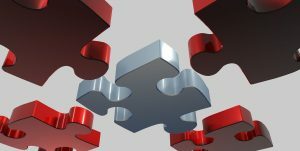 There’s not a perfect answer for an asset allocation because no one knows what the market’s going to do – boy, this would be much easier if we did know! The downside is that if the market continues to climb during our back-off time, we’ll miss out on some growth. It’s possible the market could keep climbing for another decade or so. That would be a lot of time I’d just have a percentage of our money sitting on the sidelines. Then when we started buying back in, we’d be paying higher prices per share. Higher growth on our portfolio would also mean less principal we’d be pulling during our early retirement years. And less principal that needs to be withdrawn means a much stronger portfolio. However, I’m Ok with this. By having a good percentage of our asset allocation in bonds, it gives me a little bit of comfort. We can still get a small amount of growth without the worry of it being close to worthless should we need the money. As we get closer to our FIRE date, there are a lot of plans and decisions to be made that can dramatically affect our future. Unfortunately, we can only do the best we can with what we know and then be flexible with our plans along the way. How’s your asset allocation? Do you have your portfolio structured more methodically? I FIREd in 2012 so my Sequence of Returns Risk has become more of a Sequence of Gains Windfall! 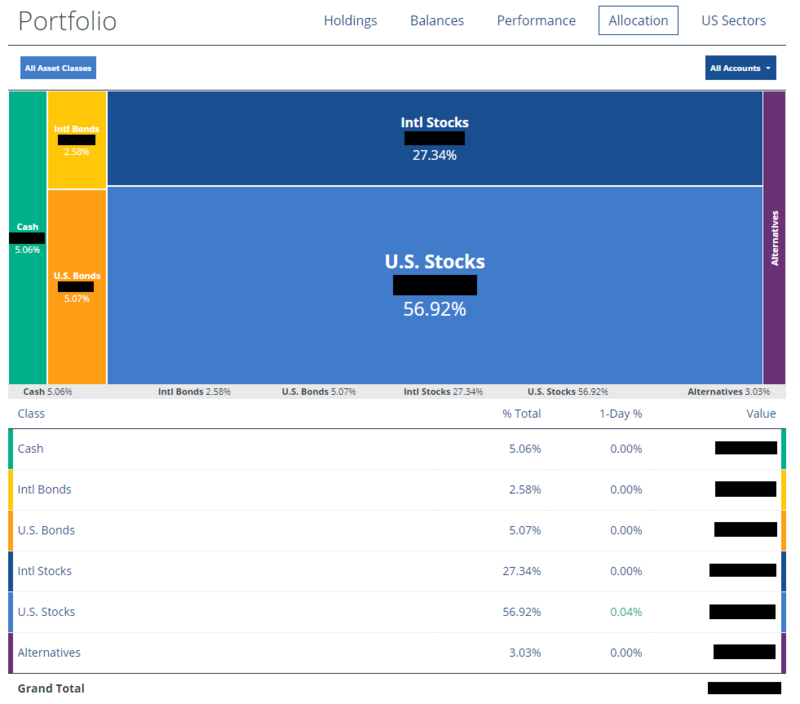 I realize it won’t always be this way, so my portfolio is fairly diversified: 40% stocks, 40% bonds, and 10% REIT. We downsized and now rent so the REIT is my total exposure to Real Estate. Nice post. I agree, when the bull is raging it’s not as important to focus on asset allocation, everybody wins! But the bull HAS to be getting tired at this point. I mean, how much coffee did he have!!? I like the equity glide path too. That sounds good for early retirees. Are you going to scale down to 50% bond? That’s a big change. I think you will have a hard time with it. I’ve been trying to get down to 30% bond/money market this year and it’s slow going. My plan is to go down to 70/30 for a while. Maybe go back to 80/20 if the market goes on sale. I don’t think I need to get to 50% bonds, but maybe about a 50% split between bonds, REITs, and cash. You’re so right about the hard time with it. I’m already running into quirky things as I work on shifting things – like keeping in the Admiral shares at Vanguard versus being stuck in the Investor shares. It would be much easier if we just had one investment account to work off of. So I have to work out a couple minor issues, but I’m going to keep on pushing forward. I like your plan. I think we have a similar mindset of being heavier in equities while in retirement and even pushing it a little higher if the market drops. Really, Jim? You had to invite the wrath of all of those “100% VTSAX” folks in the FIRE world by letting them all know that I supported your idea of BUYING BONDS!!?? Bonds? Really?? Yes, really. Good to tilt a bit more conservative as you approach your retirement date. Sequence Of Returns Risk is real. Best to defend a bit against the risk. Too bad we can’t tell the future, best to hedge your bets. Thanks – it’s going to be an interesting ride getting closer to an early retirement date after such a long bull run. Obviously, it can continue on for years to come, but I’ll admit, I’m a little doubtful of that possibility. That said, rebalancing and tapering back on the equities is probably the smart move for the time being. 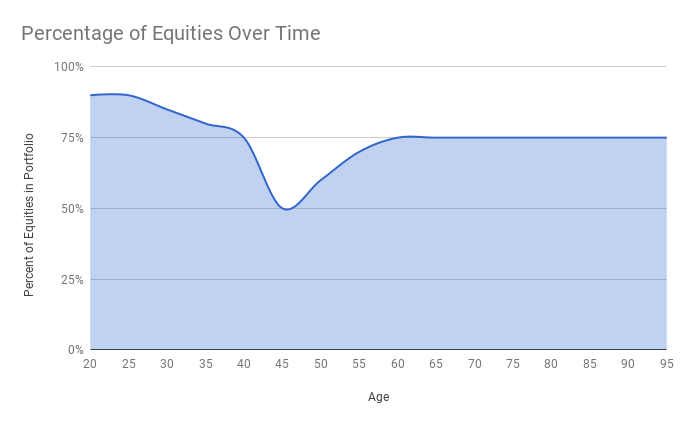 I am fully invested in stocks at the moment, but I am only about 30% to my FI number so I have about 7-10 more years of contributions before I get there (unless we have a great five years). I can understand the switch to bonds, but I wouldn’t underestimate the plans you have. Even if we do have a bear market (and I think we will in the next 2 years for sure….I mean this is getting really long in the tooth) you have the money set aside to weather the storm. And you could always do some side work (e.g. your blog, virtual assistant, tutoring for VIPKID) to sustain you all through the “hard” times, which typically only last 18 months for a bear market and because I think we are in a secular trend we have another 9-10 years of pretty good returns ahead. My worry, for me, at least is this the time I will be FI. If I decide to pull the trigger then I think we are going to go into an extended secular bear where the market will move sideways for a decade (e.g. 66-82, 2000-09). Then when do I pull the trigger? Decisions, decisions. No matter what you are in great shape. You have the plan down and if necessary doing an online job for a few bucks wouldn’t be so bad to weather the storm. Good points, Jason. Very true that I do have some money set aside and plan to do some side work to help cover a possible rough start. Even so, I still feel like I’d be able to sleep a little better at night knowing that I’m going into this without such a high percentage at the market’s mercy. Since posting this, I’m learning that I might have a hard time bringing it down that much anyway. I got it just under 75%, but the bulk of my portfolio is in my 401(k) and my options to break that up are bad (expenses, funds, etc). So I’ll have to figure that out. On your situation, yeah, that’s going to be tough. I know Bogle was saying that the returns we’ll get over the next decade will probably not be as good as we’ve had. That could throw off your trigger date, but like you said, there’s no reason not to look at a side hustle to help carry you even for a little while if needed. I rebalance my allocation every 6 months, by the calendar. My typical allocation is 30% Intermediate bond index, 17.5% S&P Index, 17.5% small cap index, 17.5% International Index and 17.5% REITs Index. This is what works for me, but may not work for others. Scheduling a rebalance a couple times a year is a fantastic idea. I have never done this before (until this week) and first read about why this is so important in Jim Collins’ Stock Series. I’m going to follow your lead on this and get this added to my calendar ASAP! I think scaling back on stocks is a good idea if you’re a long term investor. There’s probably just 1-2 years left in this bull market, so you don’t want to be caught too long when the next bear market comes along.